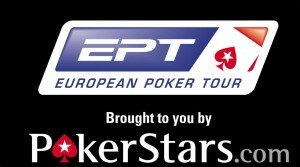 Able to boast increased attendance at many of its stops, the PokerStars European Poker Tour is quickly establishing itself as the preeminent poker tournament series in the world. There was more evidence for this claim at the current stop in Deauville France, where the tournament saw a substantial increase in attendance from 645 to 768 entrants! Day 3 is set to get underway –with the field playing down to 36– with 133 players still vying for the title. Still in contention are the Italian duo of Dario Minieri and Luca Pagano –who seem to always be in contention—as well as 2008 WSOP champion Peter Eastgate. With tournament attendance shrinking for other big name poker tours, like the World Poker Tour and World Series of Poker Tournament series, PokerStars appears to have discovered the model for tournament success, which they are hoping translates into success with their recently announced North America Poker Tour, which will be competing directly with the WPT WSOP Circuit. This entry was posted on Sunday, January 24th, 2010 at 6:40 am and is filed under Poker News. You can follow any responses to this entry through the RSS 2.0 feed. You can leave a response, or trackback from your own site.